Win! 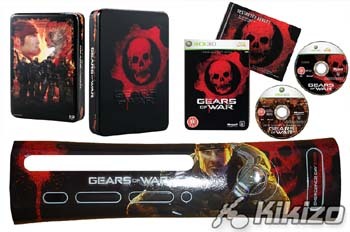 Gears of War Limited Collector's Edition & Faceplates! 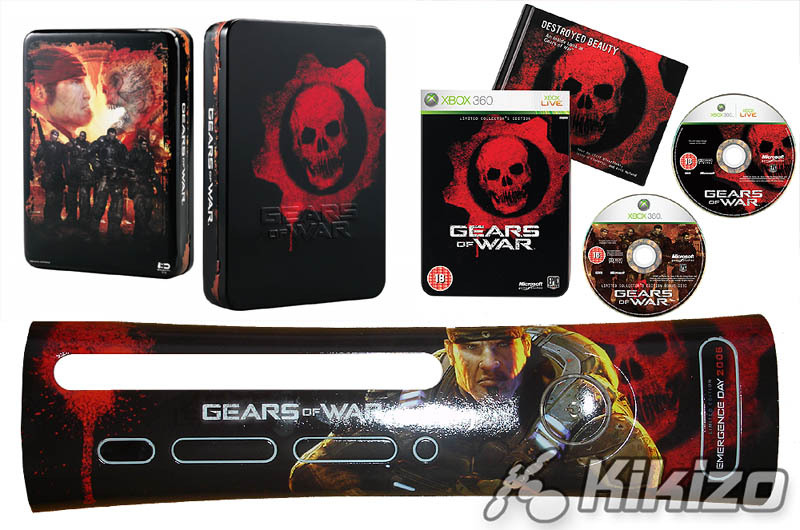 We're giving away five limited edition copies of Xbox 360's game of the year, each with a Gears faceplate. Today's the day all the review coverage for Gears of War emerges, including Kikizo's own verdict right here, in which Alex declares it the best Xbox 360 game to date. And with the game's release just days away, we've teamed up with Microsoft once again to offer five readers a chance to get the Limited Collector's Edition of the game, each with a limited edition Gears of War faceplate! 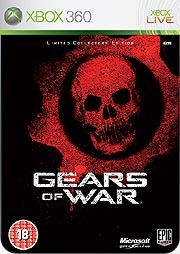 Up for grabs is the collectible, embossed metal box which includes a Gears of War hardbound art book entitled "Destroyed Beauty" and a bonus features DVD, with an inside look at the making of Gears of War. The limited edition faceplates are also collectible and very rare. And if you still need your Gears fix, be sure to catch Kikizo's very own, exclusive video feature with Epic. Why has it been joked that Gears cost Microsoft $1bn? D) Because they put double the RAM in Xbox 360 when Epic showed them how much better Gears would look? Email your answer to contest@kikizo.com, stating your full name, mailing address, and your answer to the question. You must also make sure that your email address will be active at the date the competition closes. You can only enter if you are 18 years of age or older. The competition closing date is November 16, 2006. All winners will be notified by email soon after the closing date. Good luck!